So, you’ve heard me say before that you have the skin you’ve inherited until about 30, and then you have the skin you deserve after that. Which means, beautiful skin doesn’t happen naturally (just like the body!). 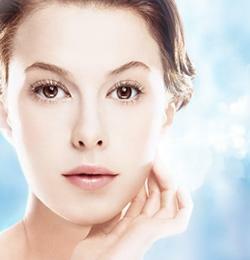 So, what are the top 5 things to guarantee a great complexion? 1.) Find an esthetician that you can visit at least seasonally. Facials are a real boost to the health of the skin and a good way to get professional feedback on how your skin is doing and what it needs more or less of. Your esthetician will also get you hooked up with the best products to use for your skin. Remember: Your skin is always changing, so what you use should change as well. There are seasonal changes that all skin types experience, and personal changes and stressors that are unique to you. Even if your skin is so problematic that you need a doctors help, that’s no excuse to neglect caring for it at home. Facial sunscreen – USE THIS DAILY! In other words, don’t let UV Radiation hit your face without protection (UVA penetrates glass), and keep some in your purse (pocket) for prolonged exposure. In case you’re wondering, the numbers on the bottle don’t mean much; the use of them is unregulated. What does mean something is “full spectrum coverage.” Zinc Oxide is the key ingredient for achieving that. Not to give you a science lesson, but Zinc Oxide is what lifeguards used to wear before they developed a clear formula. (Remember that thick white stuff that covered their t-zones?) It’s an important ingredient because it is natural. You don’t have to get it full strength (bit much) but try to get a sunscreen with Zinc Oxide as an active ingredient. Moisturizer with Sodium Hyaluronate – Sodium Hyaluronate is a polysaccharide found in the extracellular matrix of our connective tissue. It is a tissue lubricant that holds over 100 times it’s weight in water. (Ok. That was REALLY a science lesson.) As we age, this ingrediant needs to be supplemented. Bottom line? Don’t use a moisturizer without Sodium Hyaluronate as one of the top ingredients. The product I recommend is Advance by Serum from DermaQuest. It contains 40% Hyaluronic Acid. Don’t worry! It doesn’t act like an acid (burn), it is called an acid because of its molecular size and thus, its ability to penetrate the surface of the skin. Use a foundation everyday – Before mineral makeup came on the scene I could not get my staff (at the Spa in MN), to put makeup on women after a facial, because they didn’t want to “clog the pores”. Mineral makeup doesn’t clog pores, but not all mineral makeup is created equal. I carry Youngblood Mineral Makeup,which also has an SPF value. Some of the minerals reflect UV, some absorb it. When wearing mineral makeup, getting a good match is key. Using it daily is also important because the enviroment stresses the skin and mineral makeup soothes and protects it. It calms redness, conceals “spots”, and evens skin tone. It is also not a comedigenic (acne feeding) makeup. Note: Get a small concealer brush to apply minerals under and on top of the eye area before using shadow. It adds extra UV protection and conceals redness and dark circles. So now that you know about some great products to care for your skin, what are the remaining three ways to guarantee a great complexion?